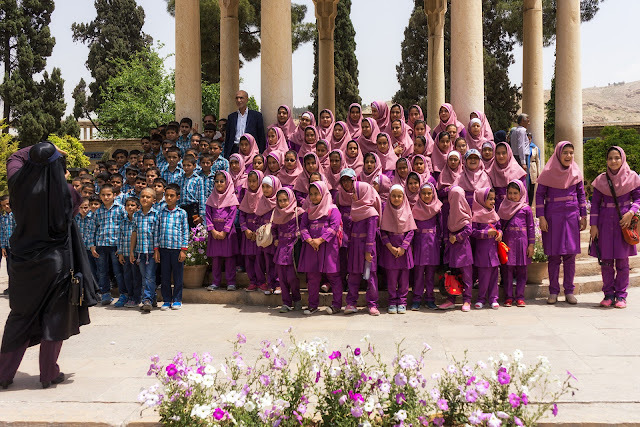 At Hafez tomb, we stumble upon a few classes on a school trip. Boys neatly separated from girls of course, except for the picture. Dressing your pupils 'Hello Kitty Style', aren't you overdoing it?